They always say its not how you start, but how you finish. 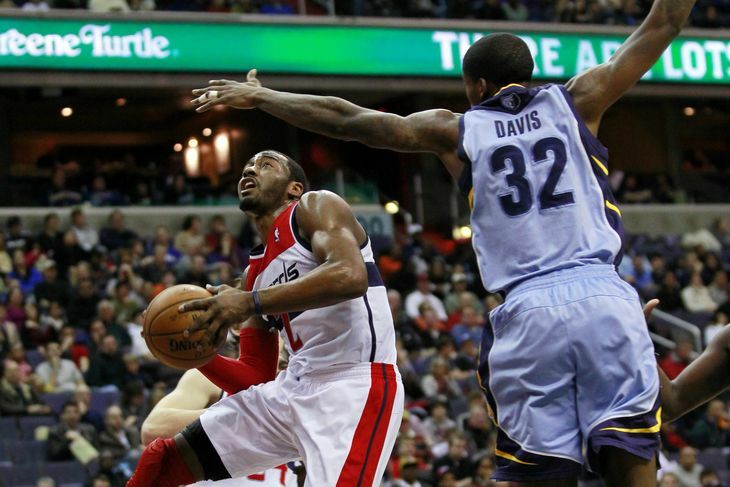 Well tonight that is exactly what you could say about the Wizards match-up against the Memphis Grizzlies. After the Wizards dismantled the bench of the Grizzlies in the second half, Wizards guard John Wall took exception to most of the Grizzlies sitting out of the contest tonight. During most of the first half the Wizards seemed to just pace the quicker Grizzlies team and let them not only out rebound, but plain outshoot them as well. The major difference in this game was when then Wizards went up by 27 points in the third quarter, and wound up with a 27-14 edge in points off turnovers. The lone highlight of this game that was notable came late in the third quarter, when Washington’s Kevin Seraphin was called for a flagrant-2 and ejected for knocking Jon Leuer to the court as the Grizzlies’ backup forward dunked. Earlier, Seraphin got tangled on the floor with Jarnell Stokes, which followed another bit of grabbing between Stokes and Marcin Gortat, who scored 22 points. “It hurt initially, but I kind of fell on my back and side a little bit,” Leuer said. “I thought they made the right call. It seemed like it was getting a little bit rough in there prior to that call. Washington has a couple tough remaining at home against the Kings and Blazers before hitting the road for a West Coast road trip, that will certainly determine where this team is headed in the in final few weeks of the season.